Written by Nigel Watson of the Antarctic Heritage Trust, and illustrated with Jane Ussher's stunning photographs, historic images and never-before-seen ephemera, this is the first book to fully document and celebrate the contribution Sir Edmund Hillary and the New Zealand team made to Antarctic history, and the legacy they left behind. Hillary and the team were primarily a support act to the British Commonwealth Trans-Antarctic crossing party. By heading on to the South Pole and reaching it before the crossing party, Hillary created tensions, unleashed a media storm and achieved an historic first overland to the South Pole. Hillary even had the audacity to succeed using three farm tractors. The epic journeys of this expedition added another fascinating chapter to the exploration annals of Antarctica. 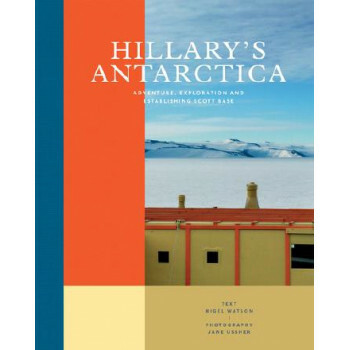 Hillary and his team laid the foundations for New Zealand's continuous, and increasingly important, presence in Antarctica.